How Should You Feed Your Lawn And Garden? Let's compare Organic vs Non Organic Fertilizer. 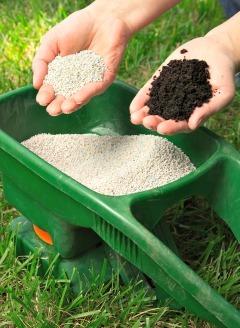 Are you a solid supporter of organic fertilizing? Are you a die hard chemical advocate? Do you stand in the middle, looking for facts to assist a decision to go with one or the other? All three groups will find useful information here. This list on the advantages and disadvantages of organic vs. non organic fertilizer is intended as a practical resource tool, rather than a comprehensive technical dissertation. Better for the soil: provides organic matter essential for microorganisms. It is one of the building blocks for fertile soil rich in humus. Nutrient release: slow and consistent at a natural rate that plants are able to use. No danger of over concentration of any element, since microbes must break down the material. Won’t burn: safe for all plants with no danger of burning due to salt concentration. Fewer applications required: once a healthy soil condition is reached, it is easier to maintain that level with less work. Controlled growth: does not over-stimulate to exceptional growth which can cause problems and require more work. 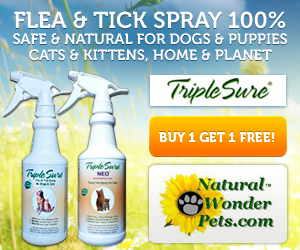 Stronger plants and grass: greater resistance to disease and insect attacks. Beneficial to environment. Won’t build up harmful residues or cause pollution due to run-off from irrigation or rain. Encourages soil life. Microbes convert the organic matter to the form of nutrients that plants need. Earthworms feeding on organic materials aerate and loosen the soil. Specific formulas: adapt to any application by changing the ingredient blend. Pre-blended formulas or individual items allow flexibility for plant preferences or needs. Readily available: as the most common form used, it is found everywhere. Formula variety: it is easy for chemical companies to vary the elements to produce blends for different seasons and for specific plants. Fast acting. Usually see results within 1-2 weeks if the formula used is appropriate for the season. Inexpensive: typically, except for the better quality blends that have controlled release pellets. Ease of application: using fertilizer spreaders. Rates and settings are usually calculated and displayed on bag. Multiple forms: available in pellets, granules, liquid, tablets, spikes, and slow-release, to suit every preference. Slow to release nutrients. Cooler soil temperatures are not as conducive to the release of elements. Dependent on microorganisms in the soil to break down organic material. Soils depleted of these beneficial microbes further delay the results from organics. More expensive than chemical fertilizer applied to equal square footage. Some retailers do not offer larger size bags that would make it more economical. Application less convenient in some forms. Meal form, unlike pellets, is difficult to apply on large areas like lawns. Residue in liquid forms: some, like fish concentrate, may not be finely strained, and clogging of sprayers can occur. Pets may be attracted to certain natural fertilizers. Dogs may want to roll in it, dig, or get into the bag, especially with blood meal or bone meal. Limited availability in some areas. All of the blends may not be offered, or the choice of individual ingredients may be limited, depending on locale. Can attract bugs in storage if not protected in sealed containers (not paper bags). Animal manures that are not fully composted can cause problems when used directly as fresh fertilizer. Homemade natural fertilizers are not automatically a good idea. Water soluble in most forms. Since water releases the nutrients, it is not uncommon to lose one-third of the nutrients by leaching out of the soil before the plant can access them. Short life span, unless using a controlled release form. Doesn’t build up the soil. The basic synthetic elements contribute nothing to enhance soil fertility. May decrease soil fertility. Chemical nitrogen stimulates the growth of existing microorganisms, which then use up organic matter in the soil. Repeating this cycle regularly leaves soil depleted. Excess growth can occur with some varieties or with surplus application. This results in more mowing or pruning, places stress on roots, causes heavier grass stains on clothes from lawns. Danger with incorrect application. Potential of harm from excess, especially lawns getting coverage overlap. Salt burn risk. Synthetic fertilizer is salt. Over-concentration can cause dehydration and plant tissue is destroyed. Trace nutrients missing, in many synthetic blends. Excess of major nutrients can bind up other nutrients in the soil, making them unavailable to the plant. Environmental problems occur with chemical run-off. Excess phosphorous can collect in the soil and cause pollution problems. Nitrogen is volatile: is lost easily into the atmosphere when fertilizer is left on the ground and not watered into the soil. It is also lost from bags in storage, if not sealed properly. Absorbs moisture easily in storage. This results in caking, or hard fertilizer, which is difficult or impossible to use. Iron stains. When added to formula, it is water soluble and can leave rust stains on concrete if not handled correctly. High energy consumption required to produce these products. You can probably find something useful in this list to support whichever approach you want to take. The organic vs. non organic fertilizer discussion is likely to continue for some time. Both proponents have strong vested interests in their position. The roots of the modern chemical fertilizer industry are found in the middle 1800’s. A German chemist, Justus von Liebig, discovered nitrogen and other elements to be essential for plant growth. His book proposed that adding these chemical elements to soil would produce an abundance of food and eliminate hunger in the world. This noble goal was never realized, though the next century saw chemical fertilizers become the main stream agricultural approach. A British scientist, Sir Albert Howard, questioned this in the early 20th Century. Howard realized that a more important determinant of plant growth was the health of the soil. He was ridiculed during his life, but his writings later became the basis for the modern organic farming and gardening movement. Healthy soil produces healthy plants. The health of people, animals, and the environment is improved with using organic vs. non organic fertilizer. It appears the pendulum of change is swinging in the direction of going natural.